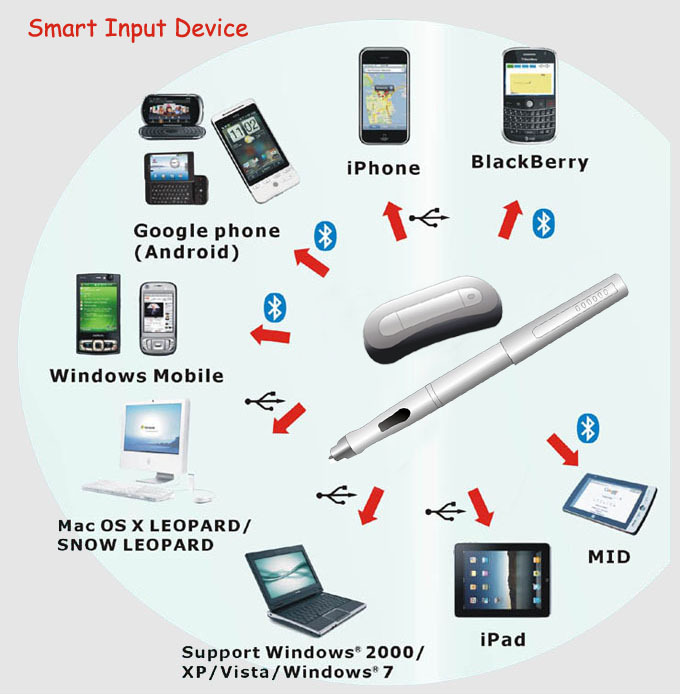 The Mobile Digital Pen can capture any handwritten notes or drawings on a plain paper and store them in its internal flash memory or Mobile, Captured notes can be uploaded to computer via its USB interface. It really helps when you are away from computer and needs to capture any instant thoughts or important points. The Pocket pen tablet consists of a digital pen and a small receiving unit, which combines Ultrasound and Infrared technologies with sophisticated algorithms to enable an accurate tracking and positioning system that tracks the movement of the tip of the pen on any surface and converts the movement into a vector image of the user’s handwriting. The digital pen transmits handwritings to the receiver unit for storage. 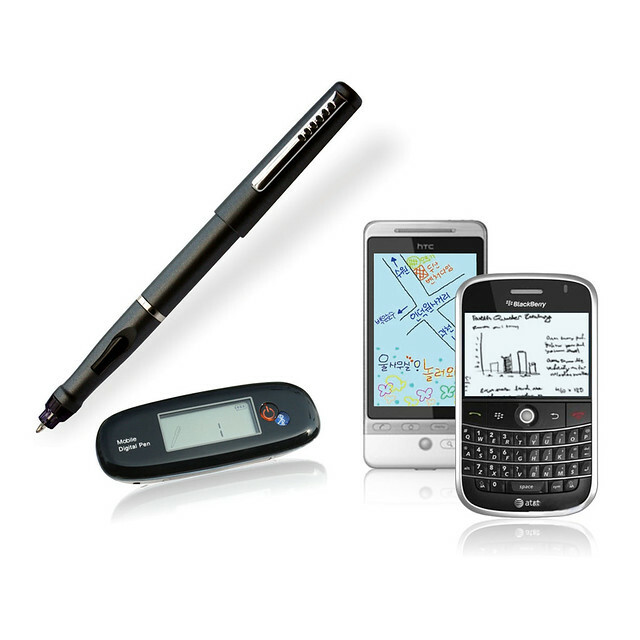 • Capture freehand sketches or meeting memo and upload to smart phones via Bluetooth. You can also upload to your PC or Mac via normal USB cable. • Free application will be available from iTunes Apps, Blackberry Apps World, Google Android Market. Covarage area: up to A4 size. Battery for receiver: rechargeable by USB cable. I simply want to tell you that I’m beginner to blogging and truly enjoyed your web blog. Probably I’m going to bookmark your website . You amazingly have fabulous articles and reviews. Thanks for revealing your webpage. Your web page does not display correctly on my personal iphone4 – you might possibly wanna attempt to remedy the issue.